This creamy spicy rich dish will warm you up inside and out, even on a cold wintery night. Serve with just saltine crackers. 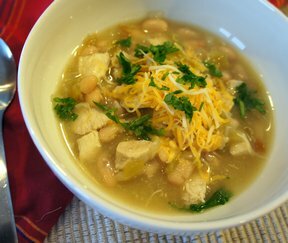 1 can pinto beans - 8 oz. Brown 1 lb. of ground beef in skillet and mash with fork so it is not lumpy. 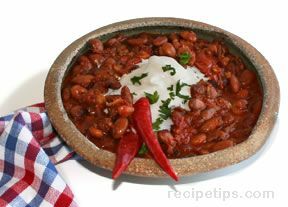 Add 1/2 can of pinto beans or add whole can if you like beans. Add 3 cans of condensed tomato soup. Cook 10-15 minutes on medium to low. Make paste in a small bowl; combine 2 tablespoons of chili powder, 1 1/2 tablespoons of flour, 4 tablespoons of water and 1 1/2 teaspoon of salt. Add paste to skillet slowly and mix. Cook on low for 45 min. or 1 hr. Stir frequently so it will not burn or stick.